The Pac-12's TV rating was up 15 percent from last year but was still paltry compared to the SEC and other conferences. And Levi's Stadium isn't get any more full in retrospect. The optics aren’t good. They weren’t good in real-time Friday night, and they are even worse with 20/10 hindsight provided by data collected over the past 48 hours. The Hotline compared the Pac-12 championship game to its peer events in the ACC, Big 12, Big Ten and SEC in two key areas … the key areas: Attendance and TV ratings. Note: Down 30 percent from last year (Ohio State-Wisconsin). Comment: Third-highest overnight of the season (any conference). Note: Up 15 percent from last year (Stanford vs. USC/ESPN) but down 21 percent from 2016 (UW vs. Colorado/FOX). Note: Highest overnight ratings for a non-bowl since 2011 (any game, any conference). 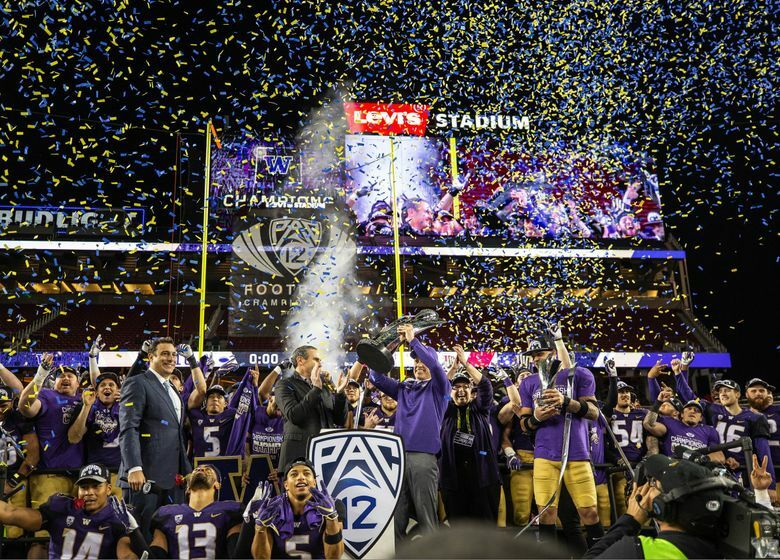 It’s didn’t help the Pac-12’s cause that neither participant was playing for a College Football Playoff berth, or that Washington didn’t clinch the North until the previous weekend. Utah traveled well; the Huskies did not; and the local support was, um, lacking. The day of the week is up to the discretion of FOX and ESPN, which, as we explained last week, prefer Friday to avoid the jammed windows of Championship Saturday. The location is fixed for at least one more year: The conference’s contract with Levi’s Stadium runs through 2019, with an option for the 2020 season.